Now that ‘Childhood Trauma’ (#ACEs) victim-survivor Oprah Winfrey has addressed our Nation’s Public Health Crisis, will YOU join Oprah & Dr. Nadine Burke Harris, MD, pediatrician & CEO of ‘The Center For Youth Wellness’, in passionately calling for a National MOVEMENT educating American & foreign born primary child caregivers about our Nation’s PUBLIC HEALTH CRISIS & potentially life scarring medical disease/condition? A California high school student who was reportedly part of a racist Snapchat conversation joking about slaves was beaten up last week upon his return to school. Is VIOLENCE RIDDLED, HATE FILLED Contemporary Black or African American Music Art Promoted By President Barack “My Brother’s Keeper” Obama and His Wife Negatively Impacting American Children and Teens? I was a kid and teen in the 60s-70s regularly experiencing the pleasure, as well as privilege of witnessing virtually all American musicians of African descent showing off their skills, talent, peacefulness, as well as generosity composing and sharing with our world CLASSIC American music art all American can and should be proud of. I am referring to an entire population of mega-talented American musicians and singers composing and/or performing beautiful, original American music art celebrating, praising, adoring, wooing, lamenting, loving and respecting American women, aka the MATERNAL HALF of our population. Despite our societal turmoil during that period of American societal and human evolution, the beautiful music my American neighbors of African descent were sharing with our world convinced YOUNG ME they are cool, peaceful, loving fellow citizens well deserving of my admiration and respect. However, for the past thirty years American kids and teens have been growing up listening to admitted or apparent emotionally ill American urban story-TRUTH-tellers like the late Christopher “The Notorious Big” Wallace or Mr. “My Brother’s Keeper” Obama White House guests and friends Shawn “Jay Z” Carter, as well as Kendrick Lamar composing American art vividly describing VIOLENT, SUIC!DAL/HOMIC!DAL ‘people and community harming’ behaviors they engaged in or witnessed their emotionally ill family members, friends or community members engaging in. Each of these urban story-TRUTH-tellers composes and promotes American music art HATEFULLY demeaning and denigrating the MATERNAL HALF of our population, advising their fans all around our tiny blue orb that black or African American teen girls and women should be viewed as less than human “itches” and “hores” or “hoes” unworthy of being treated with basic human respect. IN ALL SERIOUSNESS, who or what is responsible for influencing their violent, hateful and female demeaning American music artistry? What subliminal messages are today’s youngsters learning when they hear mega-popular Americans of African descent, including Mr. Barack “My Brother’s Keeper” Obama WH guests and friends, promoting music art vividly describing VIOLENT, SUIC!DAL HOMIC!DAL ‘people and community harming behaviors’ they engaged in or witnessed their emotionally friends and neighbors engaging in? What effects, if any, are felt by American elementary and JHS children regularly listening to American music art HATEFULLY demeaning and characterizing women, aka American moms, sisters, grandmas, daughters, aunts and nieces, as less than human “itches” and “hores” or “hoes” not worthy of being treated with basic human respect? I look forward to reading YOUR thoughts and concerns with hopes we can begin an honest, FACTUAL discussion about America’s current National HEALTH CRISIS, aka America’s Culture of African American Child Abuse, Emotional Neglect and Maltreatment evolving from America’s multi-generational, ignorant, once legal Culture of Racism. I am referring to a Culture of Child Abuse, Emotional Neglect, Abandonment and Maltreatment responsible for popular American urban story-TRUTH-tellers the late Tupac Shakur (born 1971) and Mr. Barack “My Brother’s Keeper” Obama White House guest and friend Kendrick Lamar (born 1987) vividly describing in their American art and interviews the “T.H.U.G.L.I.F.E.” and “m.A.A.d. City” Child Abuse Cultures that THROUGH NO FAULT OF THEIR OWN, deprived these American men, their childhood friends, as well as many of their elementary and JHS classmates from experiencing a SAFE, fairly or wonderfully happy American kid childhood. Sadly, the traumatic, potentially life-scarring Criminal Child Abuse and Emotional Abandonment each of these men speaks about experiencing during a critical period of human/childhood development, resulted with them maturing into emotionally ill adults revealing in public they’ve been experiencing acute depression as well as Suicidal Thoughts for most of their lives. Unfortunately, before he found the confidence to properly promote his #T_H_U_G_L_I_F_E Child Abuse AWARENESS concept, Tupac was brutally murdered by OTHER emotionally or mentally ill victims of America’s Culture of African American Child Abuse, Neglect and Emotional Maltreatment evolving from America’s multi-generational, ignorant, once legal Culture of Racism. I write about and share evidence of America’s MUCH IGNORED, oppressive, potentially life scarring black or African American MATERNAL CHILD CARE #T_H_U_G_L_I_F_E HEALTH CRISIS that I, as well as a growing number of my reasonably responsible, caring, concerned American and foreign born neighbors believe is impeding our American neighbors of African descent from experiencing the equality and respect all peaceful, reasonably responsible Americans are entitled to enjoy. Can you spot the child abuse victims? I am fairly certain this man has more than 4:41 minutes of pain to share. I make no excuses for slow-to-evolve humans embracing ignorant beliefs…I try to understand them. Is American Racism Author Tim Wise Aware of America’s African American Child Care HEALTH CRISIS? Source: Is American Racism Author Tim Wise Aware of America’s African American Child Care HEALTH CRISIS? Pictured: Popular American Urban Story-TRUTH-tellers and Repeat President Barack “My Brother’s Keeper” Obama White House Guests Shawn ‘Jay Z’ Carter & Kendrick Lamar, as well as American Racism Investigator and Author Tim Wise. Apparently Mr. Terrance Williams is a free-thinking, opinionated American man who much like me enjoys eating fried chicken and sharing his opinions. …mature into depressed, angry, frustrated, sometimes violent teens and adults engaging in homicidal and suicidal behaviors that frequently harms or seriously impairs the Quality of Life for their peaceful neighbors and community? via (1) Real Grown Folks. I began life listening to Motown musician’s sharing beautiful music praising, admiring, wooing, lamenting, loving and respecting women. Despite the racially turbulent times, their music TAUGHT and convinced me they are cool, fun, peaceful people I would like to hang with. Today and for the past thirty years I hear my Motown friend’s children and grandchildren offering music performances hating-on and demeaning our moms, sisters, grandmas, daughters, aunts and nieces, characterizing women as less than human ^itches and ^hores unworthy of respect. According to Dr. Robert Ross CEO of the California Endowment, in 2014 the NUMBER ONE MENTAL DISEASE affecting children is Childhood Trauma. In school SIX-YEAR-OLD Kendrick is being taught by frustrated educators to be a good citizen respecting his neighbors. When Kendrick leaves the emotional and physical safety provided by his classroom, he returns to a Violent Felon embracing family and community environment that in my opinion and experience messes up the minds of far too many American children longing for and DESERVING of a fairly happy American kid childhood with Safe Streets to travel and play on. With all due respect to my American neighbors of African descent, the oppression of humans that led to racism and slavery has largely been replaced with a new OPPRESSOR offering a new form of human oppression, cruelty and indignities that for more than two generations has impeded and deprived many American children like Kendrick Lamar, Tupac Shakur, Freddie Gray, Curtis “50 Cent” Jackson III, Baltimore teen Michael Singleton, Ferguson teen Michael Brown, Dwayne “Lil Wayne” Carter and countless numbers of children from experiencing a safe, fairly happy American kid childhood. via Rapper Killer Mike Speaks Out Against Sexual Assault in the Music Industry | GOOD. Several times I’ve listened to Mike “Killer Mike” Render speak about a population of American kids in need of mentoring. I applaud his words, though looking at his background and the hateful, violence, poison drug laced raps he wrote that propelled him to joining the C-list of acclaimed Americans, I believe his words are hollow, for his in-actions and failure to speak truthfully speak louder than his words. Sadly, not once have I heard Killer Mike address the core issue of Childhood Abuse and Neglect committed against far too many young African American children by a population of immature teen girls and adults women who IGNORE their parental responsibility to their child(ren) as well as their societal duty and obligation to raise nurture and supervise children maturing into reasonably responsible, peaceful, fairly happy teens and adults enjoying Safe Streets to travel on. There is a reason Kendrick and Tupac rap or speak about depression and suicidal thoughts. That reason has everything to do with both of them being emotionally abused and maltreated by their PRIMARY maternal caretaker during a critical period of their human development. Frankly, Mike Render has some pair of ballz coming down on ‘white’ people for not showing enough interest in ‘black” kids when ‘black’ moms and/or dads are the reason ‘black’ kids are messed up in the first. Victims of Childhood Trauma and Child Abuse: Baltimore residents Freddie Gray and teen Michael Singleton, Tupac Shakur, Kendrick Lamar, Curtis Jackson, Dwayne Carter, the list is seemingly endless…yet Killer Mike Render has the temerity to suggest me and a overwhelming majority of my peaceful neighbors responsible for raising reasonably happy kids enjoying Safe Streets to travel and play on, are uncaring ignorant people. Sadly, I believe Killer Mike Render and many emotionally damaged nationally popular American recording artists who offer our society music performances embracing community and gun violence, drug abuse, disrespect for everyone under our sun; including themselves, as well as writing lyrics characterizing the MATERNAL HALF of our population as less than human ^itches and ^hores unworthy of respect, are perpetuating hatred and disrespect of girls and women as well as fueling racial prejudice. via President Obama defends Black Lives Matter movement – CBS News. Mr. Obama is partially correct when stating African American communities are experiencing a problem not prevalent in other American communities. IMO, there are three significant problems impacting the lives of many of my American neighbors residing in predominantly African American communities and neighborhoods. A significant number of developing young children are victims of America’s expanding and shameful National Epidemic of Childhood Abuse and Neglect, Poverty, that for more than two generations has deprived untold numbers of American kids from experiencing and enjoying a fairly happy American kid childhood with Safe Streets to travel and play on. Early Childhood Abuse and Neglect that often leads depressed, sometimes suicidal (NY Times May 18, 2015 – Rise in Suicide by Black Children Surprises Researchers) children to develop into depressed, angry, frustrated, unpredictable, sometimes suicidal teens and adults lacking empathy and compassion for others, though needing to vent their pent up negative emotions, often causing emotional and physical harm to peaceful people…instead of venting their anger, resentment and pain on the immature single moms and/or dads who introduced them to a life of pain and struggle by irresponsibly building a family before acquiring the practical skills, PATIENCE and means to successfully raise and nurture a developing young child who matures into a fairly happy responsible teen and adult. The third problem is the number of Americans like Mr. and Mrs. Barack Obama ignoring our expanding and shameful National Epidemic of Childhood Abuse and Neglect, Poverty. American citizen offering his opinion about SINGLE-MOMS harming their children. With all due respect to my American neighbors supporting the Black Lives Matter movement, I believe your cause would better serve all Americans if your organization were to honestly, openly and compassionately address the National Epidemic of Child Abuse and Neglect that for decades has deprived untold numbers of depressed children from experiencing and enjoying a safe, fairly happy American kid childhood. 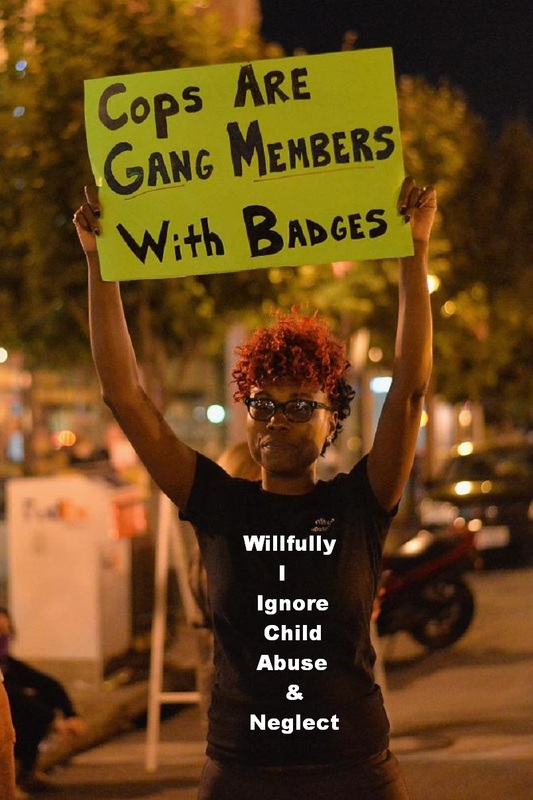 I strongly suggest members of the Black Lives Matter target communities that have embraced The Street Culture Baltimore Mom of The Year Toya Graham desperately struggles to keep her son from embracing. It seems evident to me Kendrick identified the source of his depression, the roots of poverty, the child abuse/maltreatment that prevented him, his brothers, sisters, cousins, neighborhood friends, elementary and JHS classmates from enjoying a fairly happy, safe Average Joe and Josie American kid childhood. Seems the adults responsible for raising the children in Kendrick’s immediate and extended family placed obstacles in their children’s way, causing their kids to deal with challenges and stresses young minds are not prepared to deal with….nor should they or any other children be exposed to and have to deal with. I cannot speak for anyone else, but if I was raised in Kendrick’s family I would most likely be silently peeved at my parents for being immature irresponsible “living wild” adults who deprived me of a safe, happy childhood. I wonder how little Kendrick and his classmates reacted when their elementary school teacher introduced the DARE presenter and they learned about the real dangers of drugs and how they harm people, including their parents? In a Oct 25, 2012, LAWeekly interview (Google search) Kendrick talks about being a SIX-YEAR-OLD child who was not able to trust and rely on his mom…essentially he speaks about being emotionally abandon by his own mom. Growing up during the 60-70s I listened to virtually ALL American music artists of African descent writing songs admiring, praising, respecting and loving the maternal half of our population. With all due respect to my American neighbors of African descent, the oppression of humans that led to racism and slavery has been largely replaced with a new form of human oppression that impedes and deprives many American children from experiencing a safe, fairly happy American kid childhood. Hello. I try to calmly relate my experiences providing uniform and investigative police services for more than a decade to a Brooklyn, NY, Rap Hip Hop influenced community. Though I am told my writings are not always sensitive. I apologize if my frustrations seep into the my accounts of personally witnessing child abuse, as well as how abuse/neglect adversely impacts the lives of developing newborns, infants, toddlers, children, teens and their communities. After reviewing evidence available to me, in my opinion Taraji Henson is one of many African American women/mothers who is clueless about how her chosen lifestyle impacts her child’s growth and development, as well as the communities and millions of peaceful Americans negatively impacted by the lifestyle she chooses to glorify on screen and in her personal life. Listening to Wendy Williams and Taraji Henson share a chat, it certainly seems like these two loving mothers are not concerned about the negative influences the men they admire are having on communities throughout our nation. I opened this Wendy Williams interview with Taraji Henson and heard two popular American female television personalities gushing “love” and admiration a Rap performer named Armando “Pitbull” Christian Pérez (born January 15, 1981) and decided to check him out. During their chat Taraji complained about today’s men not courting her, treating her with the respect she believes she deserves. Wendy quickly, seemingly at the speed of light, moved the convo along to a more happi-face chat. Listening to Taraji, I mean really listening…it is plain to see she has a problem with men. If my hunch is correct, I’m not saying she is wrong for embracing those feelings, considering the character and values if the men she dates it’s hard to blame her. Though, after reading the thoughts, experiences, feelings expressed in many Rap or Hip-Hop performances by some or many of the men she admires, I do -seriously- question the culture and the values she chooses to embrace. 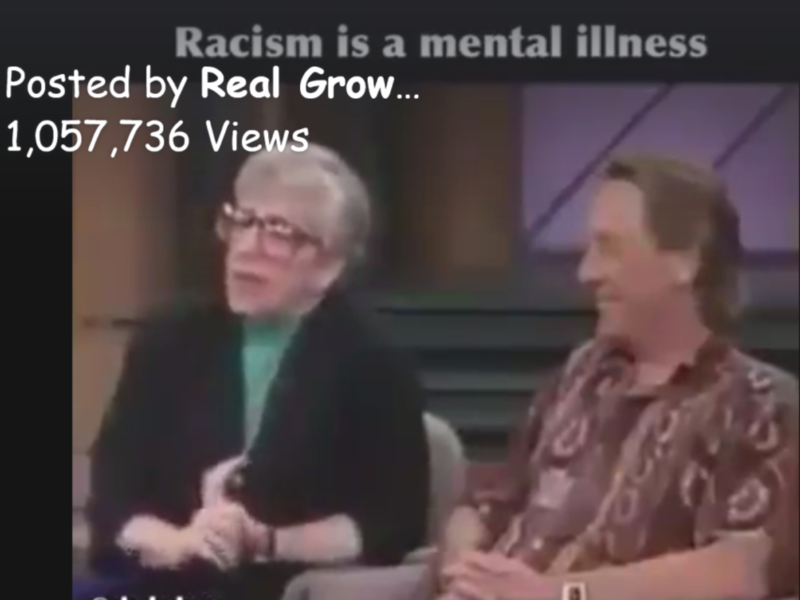 In fact, I may even become prejudice toward Ms. Henson for lending her celebrity to raise the stature of the angry damaged men she admires, instead of learning why they share so much pain, and taking measures to help heal them, instead of criticizing them for not having manners they were not taught by some or many of her sisters. After reading lyrics penned by the men she selects to become friendly with, learning the opinions these guys really and truly embrace for women, often characterizing/demeaning them as less than human, Taraji’s dilemma becomes even more interesting, fascinating and complex. Hard to believe a college educated person does not recognize her dilemma before get$$ting into it. Does anyone else see the conflicts here, or just me? Seriously….taking a deep breath…..does Ms. Henson live on the planet Earth? Is Taraji Henson figuratively blind to the fact the men she dates and has intimate relationships with are shouting their dysfunction and anger to the world? Has she read the hate-filled, angry, juvenile lyrics her lovers write? Does she not see they characterize the MATERNAL HALF of our population as witches and bhores, demeaning our moms, sisters, grandmas, daughters, aunts and nieces as less than human and undeserving of respect. I mean HOLY SMOKES Ms. Henson, what more do these men have to do to let you know that are damaged people!!!!!!!!!!!! Perhaps if Ms. Henson took a critical look at why men are not meeting her expectations she will realize it is because many of these men have no respect for their own mothers. If Ms. Henson wants to get really real with herself about the character of the men she dates, she might take a few moments to think about why many men and teens do not respect their moms. Of course Taraji and Wendy are not alone. Seems Ms. Vivica Fox joins these ladies on the Clueless Red Carpet. Is Mr. Seriously? Again, my prejudice is rearing its ugly head. I try to suppress it, make it go away but my mind keeps seeing stuff that ain’t right, way out of kilter with reality, civility and peacefulness as I envision it. In our great country each is free to choose our heading, just as we are free to identify those we individually or collectively believe are heading for disaster, criticize them, and eventually shun or fear them when they make choices we believe are harmful to our peace@large. Some may call this prejudice or use a more hate-inspired word, racism. Is this a rant on Taraji Henson? Yes! But more-so it is a rant defining some of the reasons for why many children born to American nurtured females of African descent are confused, angry and frustrated with the women responsible for raising and nurturing them. Prior to being presented with evidence that clearly shows either she or her son inflated and misrepresented facts (lied) of the circumstances surrounding her son Marcell’s police encounter, Taraji Henson made public accusations her son’s civil rights were impaired by a civil servant and declined to do the right thing by not following up and cooperating with authorities to correct the officer’s alleged uncivil and illegal conduct? After being invited to do so! Sorry, this is either irresponsible, immature behavior, or it is contrived malarkey exploiting the current negative feelings some or many embrace for our law enforcement officials, to bring attention to her stardom. Women were victimized by Bill Cosby, they remained silent, more were victimized, the list of victims who made the choice to remain silent goes on. Hard to respect or feel compassion for anyone who remains tight-lipped after being violently victimized. Especially when in their heart they know the attacks will continue. Hard to respect a citizen who makes allegations of serious civil misconduct and does not follow up preventing future misconduct. Now, only days after Ms. Taraji Henson shouted public allegations of serious police misconduct, we learn the TRUTH about the police officer who correctly detained her son for failing to yield to a pedestrian/neighbor in a crosswalk, was nothing less than polite, professional and…..if reports are true that Marcel possessed a controlled substance without a lawful prescription, we learn the police officer may have placed his career at risk by not arresting her son for possessing a controlled substance with a legal prescription. When I was an active duty NYC police officer I was trained that sworn officers in NYS have discretion when determining to cite a person for committing a “traffic infraction”. Though when we personally observe crimes defined as misdemeanors and felonies, we MUST make an arrest, discretion does not apply. If this is true in California, the polite, professional officer who allowed Marcel to walk without charging him for unlawfully possessing a controlled substance could be brought up on internal police department charges and be disciplined, possibly terminated for failing to perform his sworn duty. Yes, this is a rant about SOME American women of African descent, certainly not all women of African descent are clueless. I know this because I worked with many moms who lived in a community negatively affected by the angry, hateful type of rap artistry creators and performers Taraji dates and adores, the men she purports to her son are quality people who deserve his and her respect. In my opinion because women like Wendy Williams, Vivica Fox and Taraji Henson, the American women of African descent I worked with and respected for their peacefulness and competence, were forced to work harder at parenting in order to protect their children from the negative influences of the women-hating men these celebrities adulate and admire. Men who promote hate and violence in their art performances. Then we have an American lawmaker named Vanessa Summers who went on public record informing our world she believes a toddler is mature enough to embrace what she perceives as prejudice or racism. Seriously! Is Rep. Summers a mom, did not she observe her children’s development, realizing children at that age are incapable of forming these types of opinions? Of course there are humans with distorted values and poor character in every city, town and village across our nation. However at this time in American history there is clearly a segment of our population that has been conditioned to believe lawlessness is an acceptable way of life. Sadly each of the humans I named in this writing is contributing to this cluelessness and as a result, many children are being raised and nurtured in environments that will cause me to experience prejudice toward their caregivers for as long as they continue exposing their children to this type of emotional child abuse. In closing, Wendy is right, Taraji’s boots are pretty cute and so is the rest of her package, though sadly, her exterior is way more appealing to me than the values she embraces in her head, which I hope she gets straightened out. Hopefully her son gets his head straightened out as well. I have no problem with responsible marijuana users, though messing with prescription drugs can lead a human down a road that often results in many becoming less than human, as Taraji’s friends and lovers attest to in their Rap and Hip-Hop performances she apparently enjoys so much. **Correction – Read a LA Times article reporting the police did not find the controlled substance Marcel Johnson admitted he possessed at the time he was detained. Therefore my remarks about the officer possibly disregarding his training are not valid.